Happy Friday everyone, Jummah Mubarak! It's been quite the week for me! I've transferred to a new group for the next few months at work and have been swamped with projects! On the bright side, it's a great feeling that even when I leave the office late there's still sunlight outside! Anyways, here is what I wore to work today. 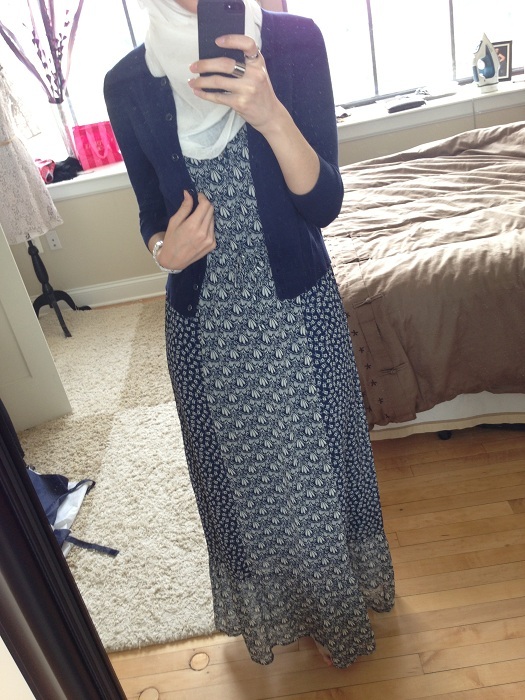 I must give credit to my fashionista friend Riham who I saw this dress on first. She wore it with a jean jacket which is very cute and casual for the weekend. Since I was wearing this to work, I paired it with a cardigan to make it a bit more professional. 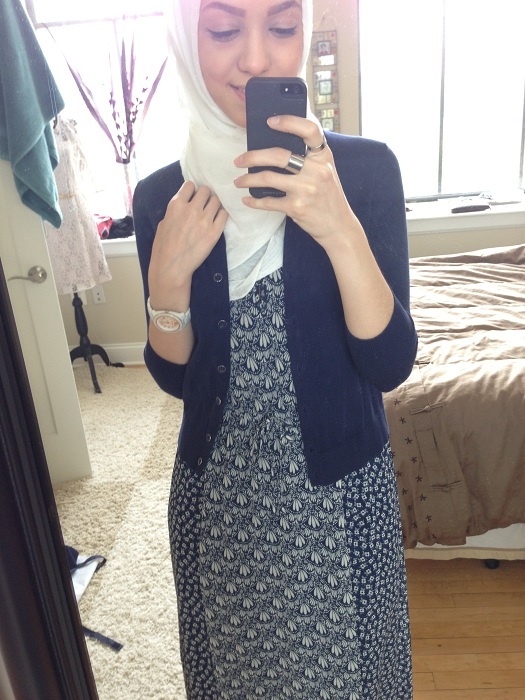 I bought both the dress and cardigan at Gap Outlet for a steal! 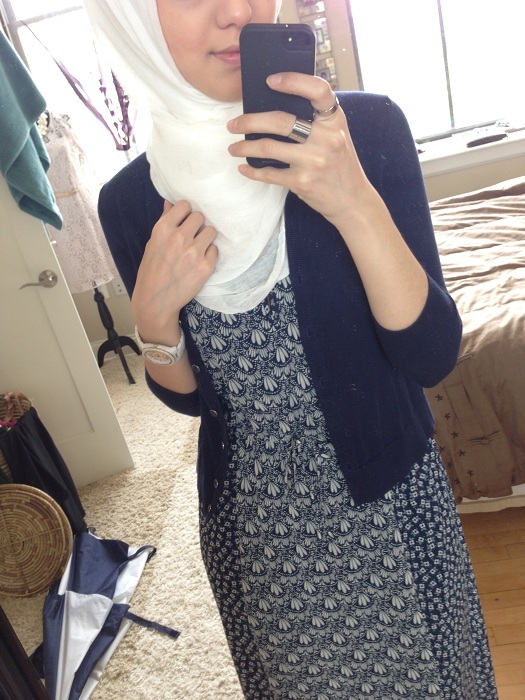 The cardigan was $10 and the dress was half off for $35. Regular Gap can be overpriced in my opinion so I always shop at the outlet store and I'm never let down!